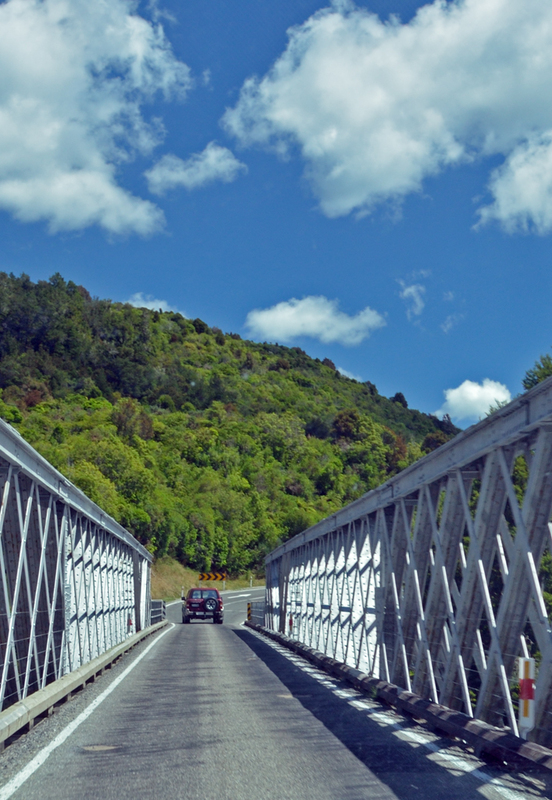 There were a few things I noticed while driving around New Zealand that I think set it apart from any other country I’ve been to. First are the bridges. The majority of them are ONE lane. They are clearly marked to indicate which direction of traffic has the right of way, but you spent so much time waiting to cross them that it just seems a bit silly. Even in a major city like Queenstown, one of the main roads leading into town is only one lane. Traffic is backed up there on a regular basis. The locals don’t seem to mind though. Perhaps they’re just used to it. The other odd thing I didn’t immediately realize, but after a few days when I saw this train it made me realize: “Hey wait a minute. I haven’t seen any train crossings.” There are VERY few rail lines in the country. I grew up in Canada, where long before the average family owned a car, the country was criss-crossed by train lines. The “Last Spike” was celebrated around the country. Nearly everything produced or consumed in Canada is moved by rail at some part of it’s journey. 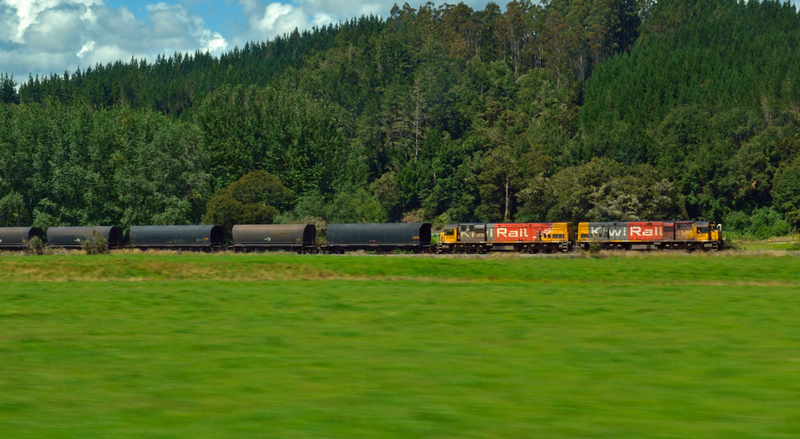 In New Zealand, it’s easy to see why there aren’t many rail lines. The landscape just wouldn’t make it easy to build them. Not at a reasonable cost anyway. Forests, Catlin’s Part 1 & Part 2, Avalanche Peak, KairKoura, Christchurch, South Island Road Trip, Ferry to the North Island, Wellington City and The Big Surprise.